In 2005 Alcest released Le Secret limited to 1,000 copies which soon were sold out. Now in 2011 Neige is re-releasing this EP with a new art work. The two songs of the original release are on the EP as well as newly recorded versions. The opening track is the re-recorded version of Le Secret, but the original recordings and the new version don't differ that much. It's mainly the sond quality of the recordings, but at Le Secret the intro with the sounds of the birds and a creek is missing. Neige stays close to the original, so there aren't any surprises. 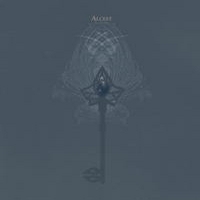 Fans who discovered Alcest with their last full-length album Écailles des Lune will surely welcome the re-release, coz it shows that Alcest delivered post black metal on a high level right from the start. Elevation is a bit heavier than the opener, it shows the black metal roots better. Especially as here you don't get clean vocals. But the song also offers some dreamy instrumental passages like you know them from Alcest these days. The French Alcest present Écailles De Lune, their latest piece of work. The songs are written by mastermind Neige who got inspired by the dark, mysterious power of the sea at night. Lyrically it's about a man who decides to leave this world to discover another. Écailles De Lune takes you on a trip into dark, atmospheric soundscapes... Sometimes dark and beautiful, sometimes raw and threatening. While the opening track Écailles De Lune (Part I) seems to show the brightness of a day at the sea shore Alcest later take you out to experience the darkness at night where you face the raw energy. The black-ish passages are like the stormy sea at night. The sound of the surf and the atmospheric opening of Écailles De Lune (Part II) is like the calm before the storm, coz then from one moment to next it seems that hell breaks loose. A sonic roller coaster ride... In the beginning a bit heavier and partly with blackened vocals Percées de Lumière is presented, but there is - like a ray of light - some clean vocals, some beautiful melody. Abysses is an instrumental interlude and leads you into Solar Song, a song which will warm you like the sun light at a winter's day. The closer is called Sur L'Oceán Couleur de Fer. Calm and beautiful, this one is inviting you into reverie. 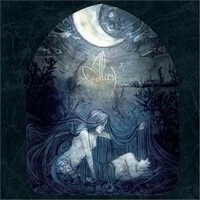 Let Alcest take you to another shore, floating onto the perpetual waves... into a dream-like state. Musically Écailles De Lune is a mix of shoegaze and black metal, but as the atmospheric soundscapes dominate Écailles De Lune I can't recommend this to every black metal fans, but the ones who like atmospheric sounds, should check out this album! Collectors should look for the box set - lim. 1,000 copies, incl. a wall flag and a set of postcards. Or if you prefer vinyl, then try to get a copy of the limited editions, both are limited to 500 copies: 'classic edition' in black vinyl, 'deep sea edition' in blue vinyl! Be quick!